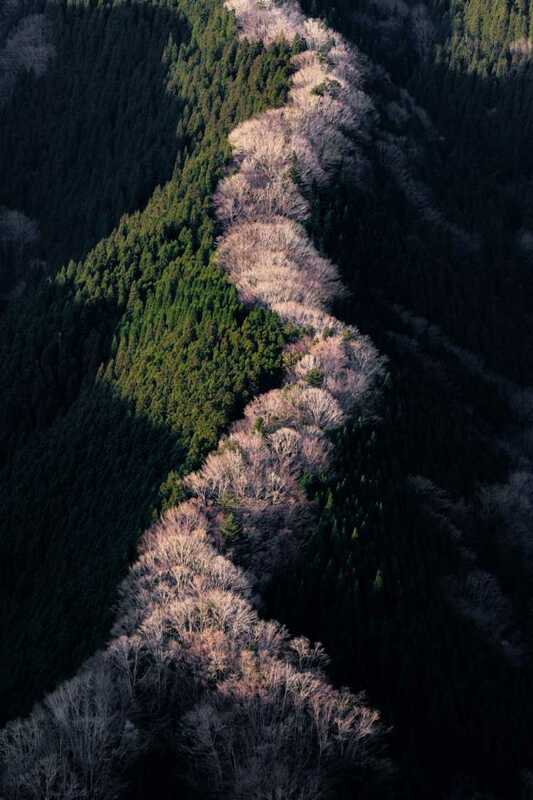 Namego Valley is famous for the autumn colors though, in spring, the mountain cherry blossoms bloom and look like a pink dragon. We're moved with the scenery like the dragon rising to the sky. 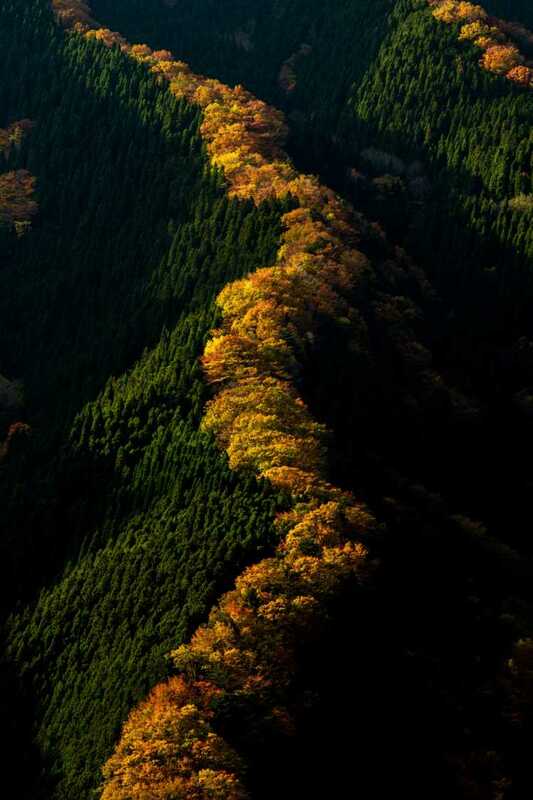 In the season of autumn colors at Namego Dani Valley, we can see the amazing view like dragons creep over the mountains and rise to the sky. 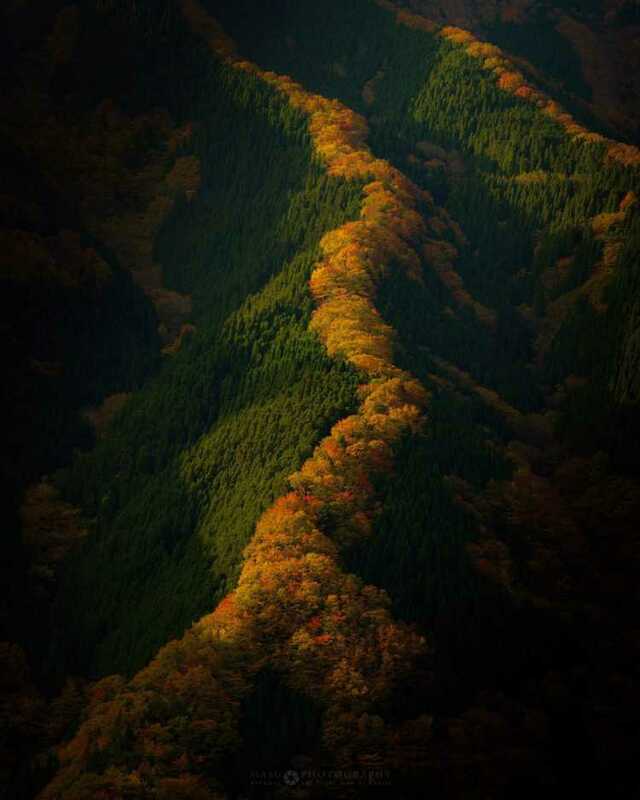 You can see the scenery like this only here. 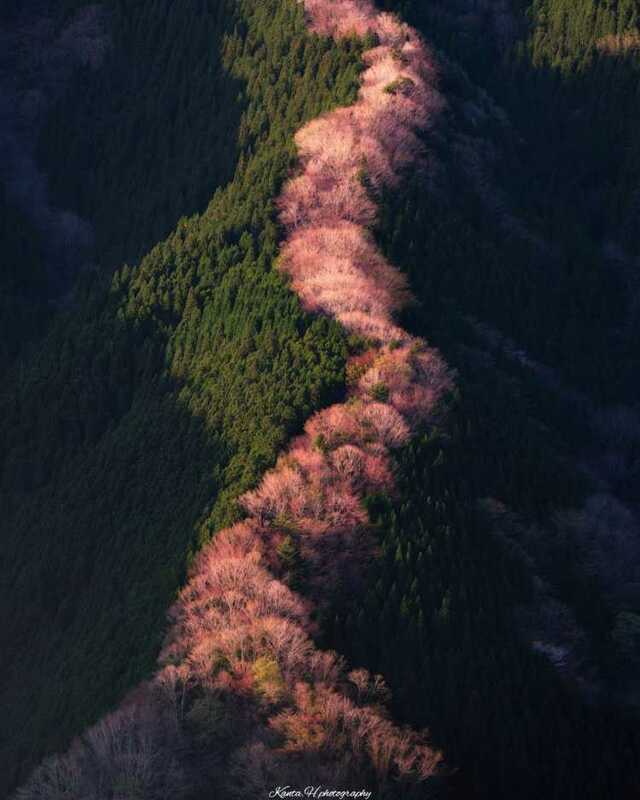 Broadleaf trees such as beech, maple, and cherry trees at the back of the mountains, change their colors in autumn and seem to be rising dragons. The morning sunlight create shades and sunshine, then, they can make the autumn colors more beautiful.◎Autumn colors becomes the best to see in the early half of November. In the morning, you can take follow-light pictures, and the sun shades the mountain beautifully.